Weeks of preparation paid off as S.D. Professionals, LLC and their new media “TheSmokies.TV” revealed their worldwide broadcast of Dolly Parton’s 24th Annual Parade in Pigeon Forge, Tennessee. Stats reveal tens of thousands of viewers logging on from 60+ countries around the globe, all of which are potential new visitors to this area which is dependent upon tourism. “We truly strive to always think outside of the box. Not only did we bring the Smokies to the world during Dolly’s Parade but we actually streamed and recording for the first time ever with a RED ONE 4K Camera” said Jacob Timmons of S.D. 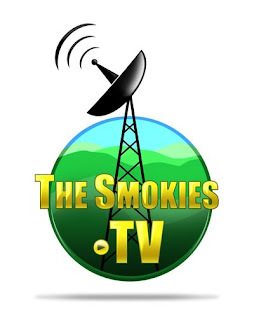 Professionals, LLC For those who may have experience issues logging on during the heavy traffic period, TheSmokies.TV is now broadcasting an encore performance on TheSmokies.TV. TheSmokies.TV is an online broadcasting division of S.D. Professionals, LLC which covers live events and entertainment within the boundaries of the Great Smoky Mountains and immediate surrounding areas. For more information, contact Jacob Timmons at 865-774-9023. 24th Annual Dolly Parton Parade goes worldwide! The Dolly Parton Parade this Friday will be broadcast live via TheSmokies.TV, the new web media from S. D. Professionals. The live show hosted by radio personality, Tammy Kelly and Kate Phillips starts at 6pm eastern and can be viewed for free on http://www.thesmokies.tv/. The new media is sure to create major interest with visitors “clicking on” to the net to watch the parade along with a live interview with The Smokies Ambassador, Dolly Parton. Some high profile entertainers will also be featured throughout the broadcast. TheSmokes.TV is a new media web broadcasting channel within S.D. Professionals, LLC that features events and entertainment exclusively within the Great Smoky Mountain area, covering Concerts, Craft Fairs, Rod Runs, Parades, Special Functions & Events, Sports, Festivals and more. Interested parties for either an event promotion or becoming a sponsor can contact Jacob Timmons on 865-774-9023.